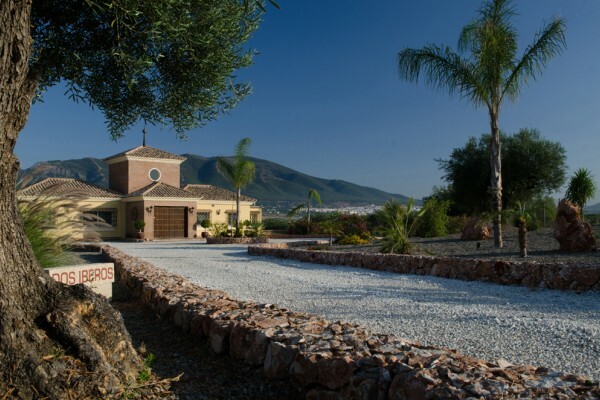 Finca Dos Iberos is located near the charming provincial town of Alhaurín el Grande in the Guadalhorce valley. Culture, beaches, golf courses and nature parks; everything is close by. In less than half an hour you are in Málaga, Mijas, Marbella and at the airport. Also Ronda, Granada and Córdoba are easily accessible. 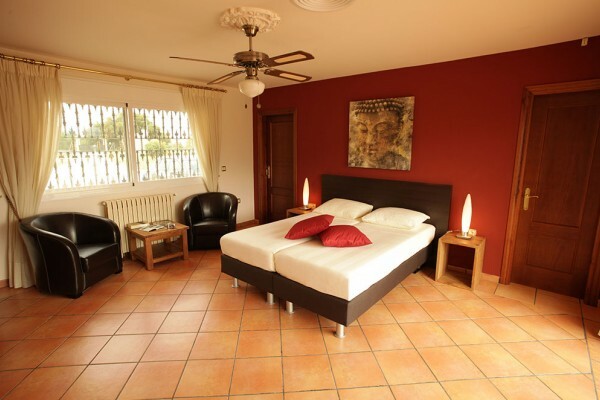 You stay in luxurious and tastefully decorated rooms with breathtaking views of the Sierra de Mijas. Enjoy nice continental breakfast in the morning sun and then explore the area. Or just relax by the pool, while enjoying a drink and a snack. Dos Iberos offers rest and relaxation in a comfortable and welcoming environment. You are welcome in Alhaurín el Grande, perhaps the most beautiful part of Andalusia! Dos Iberos has five luxurious and tastefully decorated rooms, all fully-equipped. The Marbella Rooms on the ground floor have direct access to the covered terrace. If you opt for the extra luxury Sevilla Suites on the first floor, you have access to a spacious private terrace balcony. All rooms are equipped with comfortable box spring beds, a cosy sitting area, a luxurious bathroom with hairdryer, air conditioning and heating. The more luxurious and spacious Sevilla Suites have a flatscreen TV, an extra large bathroom (one with separate bath) and walk-in wardrobe. Dos Iberos is a non smoking facility, also pets are not allowed. No experiences yet with Dos Iberos Luxe Bed & Breakfast. Be the first! Did you stay in Dos Iberos Luxe Bed & Breakfast? Let us know what you thought about it and help others to make the right choice! * I confirm having stayed in Dos Iberos Luxe Bed & Breakfast.